To millions of people who watched Full House, the Tanners were about as close to the perfect American family as you could find, even with its trio of father figures and the absence of mother Pamela Tanner. Off-screen, the actors who played those picture-perfect characters were far from the amicable personalities they portrayed on TV. Check out some of the strangest behaviors and incidents that's happened to the Full House cast over the years. 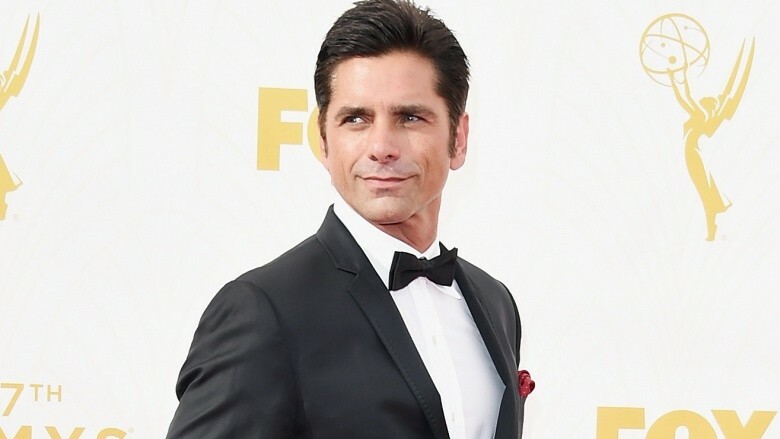 John Stamos' good-guy image was tarnished in June 2015 when he was arrested for a DUI. Later that year, he was formally charged with one count of driving under the influence, to which he pleaded no contest and was sentenced to three years probation. Prior to his conviction, Stamos, who was reportedly driving under the influence of the club drug GHB at the time of his arrest, entered a rehab facility to treat an unknown medical condition. Speaking to NBC's Matt Lauer about his roller coaster ride of a year, Stamos blamed a lot of his behavior on personal tragedy. "I lost my mother last year, who was the love of my life—obviously a difficult time for me," he said. "I had this moment, I had some time off and I had a decision to make. So I took advantage of the time and I made a choice, and I'm just so grateful that I did." In a shocking 2006 interview, Jodie Sweetin, who played the adorable middle Tanner sister, Stephanie, admitted to Good Morning America that she was once addicted to methamphetamine. "There is a certain sense of loss when a series ends," said Sweetin, who revealed her habit began after Full House went off the air in 1995. "It is kind of hard to figure out who you are when you've lost your job at age 13, when that was basically how you identified yourself." Sweetin goes into more detail about her drug habits in her 2010 tell-all, unSweetined, admitting she snorted meth at the premiere of an Olsen twins movie in 2004. "I was pulling off the deceit," she wrote (via Us Weekly). "It was hard for people to believe I was doing that much drugs. I look at photos from that event, and I didn't even look strung out!" Other drugs Sweetin dabbled in include ecstasy and cocaine. Sweetin's personal life was plagued by a number of failed relationships. Case in point: the 33-year-old has been married and divorced a whopping three times. Her most recent divorce came in 2013 when she filed for legal separation from her husband of one year, Morty Coyle, with whom she has a daughter, Beatrix. Sweetin also has a second daughter, Zoie, from her second marriage. Apparently the fourth time wasn't going to the charm either. After a blowout fight with her then-fiance, Justin Hodak, Sweetin was granted a restraining order against would-be-husband number four when was arrested after he "threatened to kill himself with a 9mm pistol if she made him leave," according to TMZ. The problem with that, other than the obvious, is that Hodak is a convicted felon, which means the guns were in his possession illegally. Hodak violated the restraining order just days later by driving past Sweetin's house. He was arrested again, but released after posting bail. Sweetin, meanwhile, posted a pic of herself with her to daughters to Instagram to let everyone know this was all NBD. "Thank you so much to everyone who has reached out over the past two weeks. It's definitely been a roller coaster, but with amazing family, friends and fans, I'll be just fine! These two little loves are my everything and we will make it through!! Thank you for all the love!!" You'll never guess what happened next. Police sources told TMZ they were once again called to Sweetin's house when Hodak showed up, but got scared off by security guards. Hodak denies being there, but unfortunately, something tells us this dude isn't going away that easily. Candace Cameron Bure has openly revealed her conservative opinions during a number of heated debates, many of which have been criticized. In 2014, Bure came under fire for describing her role in her marriage to hockey player Valeri Bure as "submissive." "I am not a passive person, but I chose to fall into a more submissive role in our relationship because I wanted to do everything in my power to make my marriage and family work," Bure wrote in her memoir, Balancing It All. Amid the criticism, Bure was forced to go on the defensive by arguing she was using the Bible's definition of submissive. "It is meekness, it is not weakness," she said (via E! Online). "It is strength under control, it is bridled strength. And that's what I choose to have in my marriage." On the bright side, at least she isn't making wacky religious movies like her older brother, Kirk Cameron. 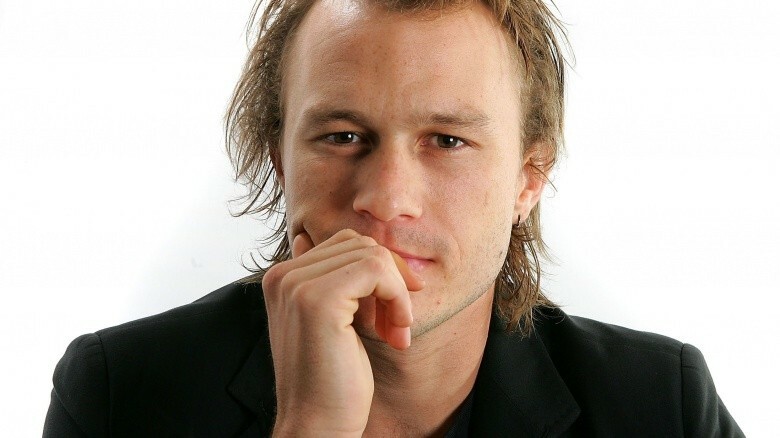 One of the oddest question marks that resulted from the death of Heath Ledger, who overdosed on a number of prescription pills, was why his masseuse called Mary-Kate Olsen's cell phone before calling the police. The Feds tried for months to get her to speak voluntarily, or else risk being subpoenaed. Nevertheless, Olsen refused to talk to the law without immunity. Ultimately, the case was closed and Olsen's knowledge of Ledger's drug abuse was never questioned further, but that hasn't stopped the whole thing from being super, super weird. 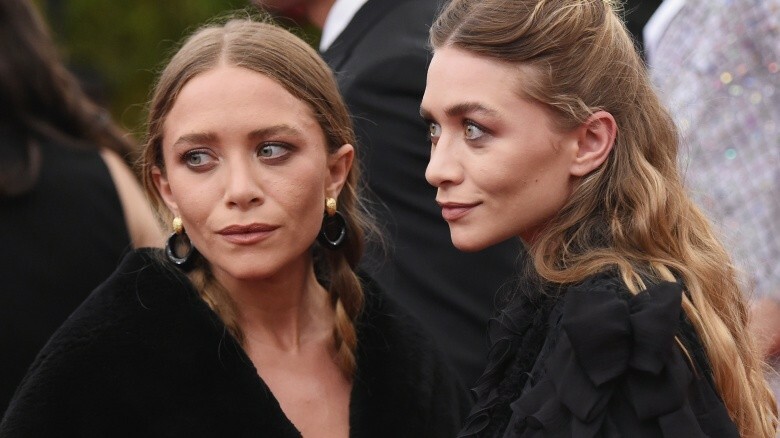 In the early 2000s, many looked on in horror as Mary-Kate Olsen's physical appearance continued to deteriorate. Rumors of drug abuse and an eating disorder quickly emerged throughout the press and tabloids. In June 2004, Olsen finally checked into a rehab facility for a health-related issue, reported to be some kind of an eating disorder. Without confirming or denying the reports, Olsen spoke to Elle magazine in 2008 about her alleged eating disorder, saying, "Everybody is going to go through hard times. It's a part of life. I think the hardest part to get to is that point of asking for help or reaching out to other people and being honest with yourself." The Netflix's sequel Fuller House will be missing one crucial member of the Tanner family—the youngest daughter Michelle, played by Mary-Kate and Ashley Olsen. When news broke that they wouldn't be joining the show, many wondered why would they pass on the opportunity. Pressed at one point for an answer, Mary-Kate claimed the twins had just found out about the project and were surprised nobody spoke to them about it before, including co-star John Stamos. 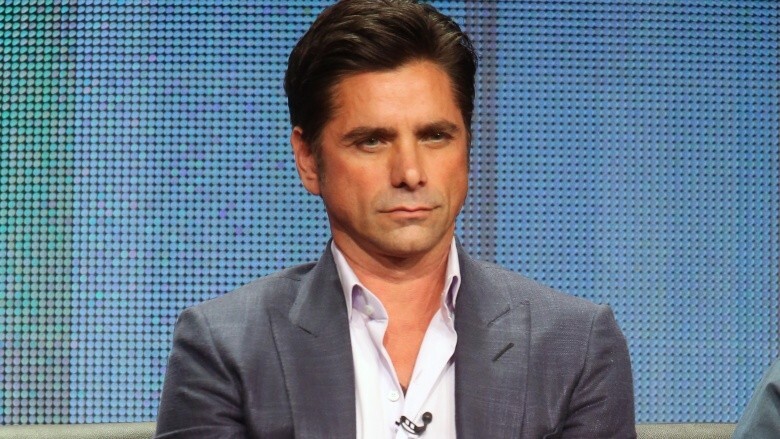 Stamos quickly fired back on Twitter, saying "I call bulls***." The surprisingly blunt tweet led some to wonder whether there was a feud brewing between the Olsen twins and the rest of the cast, which might explain why Stamos was so quick to cover his tracks. "Had a sweet talk with M.K. today!" he tweeted the following day. "There are way more important things going in the wold [sic] today." For what it's worth: the Olsens ultimately admitted they didn't want to do the show because they haven't acted in years. Anyone who has watched their craptacular straight-to-DVD films will certainly understand. 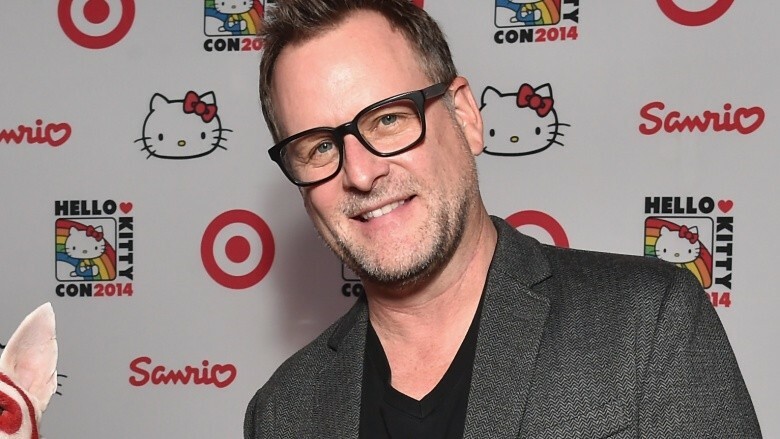 Was that Alanis Morissette song really about Dave Coulier? For decades, many believed that Alanis Morissette hit song, "You Oughta Know," was actually about her ex-boyfriend, Dave Coulier, who played Joey Gladstone on Full House. The rumors were a real surprise, considering the lyrics in the song contrasted significantly from Coulier's on-air persona; "And I'm here, to remind you / Of the mess you left when you went away" is just a taste of Morissette's anger towards whomever the song was about. Years later, Coulier denied the rumors to BuzzFeed, saying, "First of all, the guy in that song is a real a-hole, so I don't want to be that guy." Considering those lyrics about what Morissette did to her ex in a movie theater, we certainly hope he's not. In his 2014 memoir, Dirty Daddy, Bob Saget admitted he was the polar opposite of his perfectly clean character, Danny Tanner, when cameras weren't rolling on the set of Full House. In fact, his behavior was often crude. Per Page Six, during one particular incident, thinking only adult crew members were in the room, Saget recalls a time when he made obscene gestures at a four-foot-tall rubber doll used as a stand-in for his TV daughters. The joke got a load of laughs, until Saget realized that the monitors were playing the action everywhere and anyone could see what he was doing. Now that's a mess not even Danny Tanner would want to clean up. As the squeaky clean character Rebecca Donaldson-Katsopolis, also known as Aunt Becky, many assumed actress Lori Loughlin was equally as virtuous in real life. That myth was shattered on March 11, 2019, when Radar Online reported she had been indicted on felony charges of "conspiracy to commit mail fraud and honest services mail fraud." Loughlin was in Canada when the news hit, according to The Blast. A warrant was issued for her arrest, so she boarded a plane and hightailed it back to Los Angeles to face the music. Court records obtained by People revealed Loughlin was among 50 people who allegedly participated in a multi-million dollar college bribery scheme. She and the other defendants, including her husband, Mossimo founder Mossimo Giannulli, and fellow actress Felicity Huffman, are accused of paying money to get their children admitted into colleges, such as Stanford, Yale, the University of Southern California, and Georgetown, with some help from SAT and ACT exam administrators and university coaches. Acording to TMZ, Loughlin and her husband are accused of shelling out $500,000 so that their two daughters would be "designated as recruits" for the USC crew team. However, neither daughter participated on the team. Loughlin's children, and the other students who benefitted from it, were said to be unaware of the scam. And just like that, our childhoods will never be the same. Have mercy!